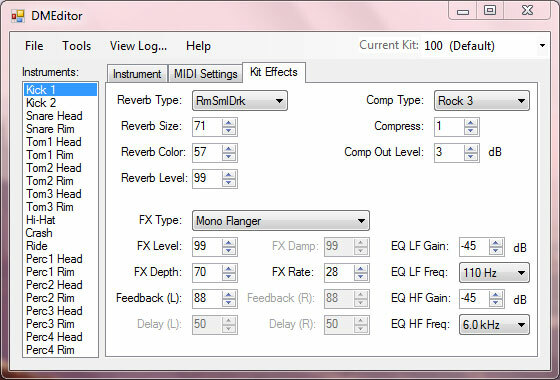 Hellfire Electronic Drum Systems - DMEditor 1.0, PC Control of your Alesis DM10! 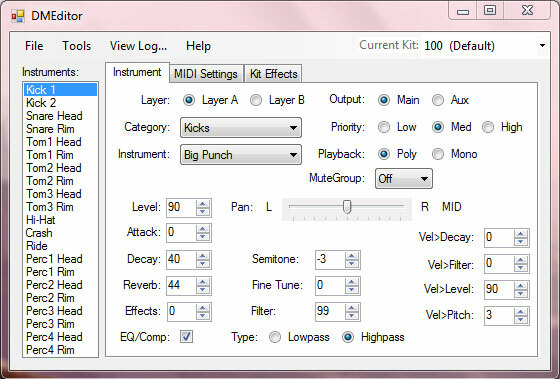 Home Drum Modules DMEditor 1.0, PC Control of your Alesis DM10! 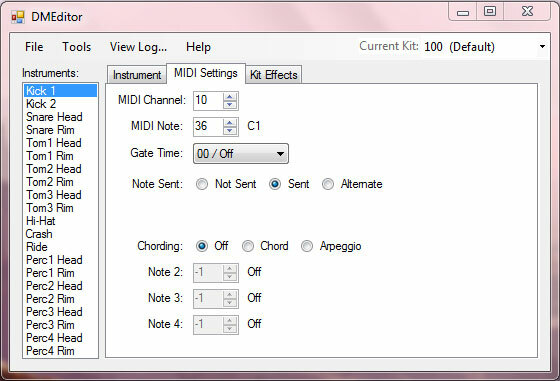 DMEditor 1.0, PC Control of your Alesis DM10! The software is an easy to use application that works on your PC. 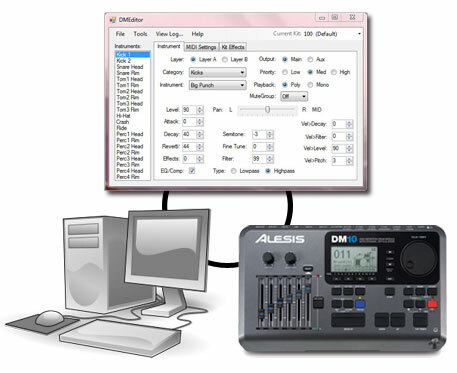 All the tools to build a great sounding kit in your Alesis DM10 (or DM8) module are right at your fingertips. For more information about DMEditor 1.0, be sure to check out www.dmeditor.com. And don’t forget to become part of the conversation about this new development over at www.DMdrummer.com as well. « Yamaha & Zildjian Team Up! I hope he’s not given up on mixing and matching soundset parts. That should be considered the “holy grail”. WOW. I didn’t know this was available. VERY COOL! Hi, where can I download DMEditor? Have I pay something or just a donation? and to who? I’ve used it myself, So yes its functional. Hi, this is way too awesome but where can we download the pre-defined kits for our sets, example – I want the sound of Metallica’s kit from the black album. Any idea where u can get those??? There is no easy way to say this, so I’m going to be blunt. The DM10 is close to being obsolete and Alesis stopped selling the Blue Jay sound set about a year ago. Unfortunately, you can not just buy the Blue Jay sound set form an other user because the sound set is tied to each unique serial number of a DM10. I’m sorry but there is no way for you to get the Blue Jay sounds set for your module. I wish I could help. Hi I had no usb lead when I got my kit second hand. Is it a special one or can I use a printer usb cable. If no were can I get one from. A normal USB Printer cable seems to be working on my DM10. I am looking for the manual. 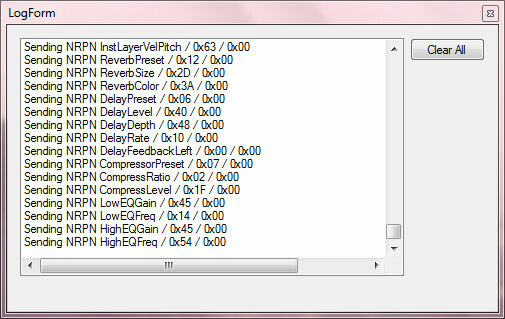 I am trying to figure out how to pull the kits I have built in the module into the software before I delete them. They aren’t anything special but I have done a little tweeking.